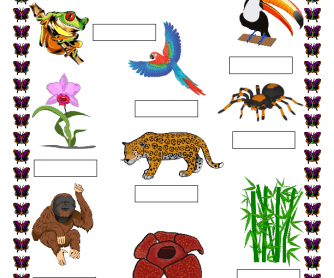 This is a PDF for practicing dictation. 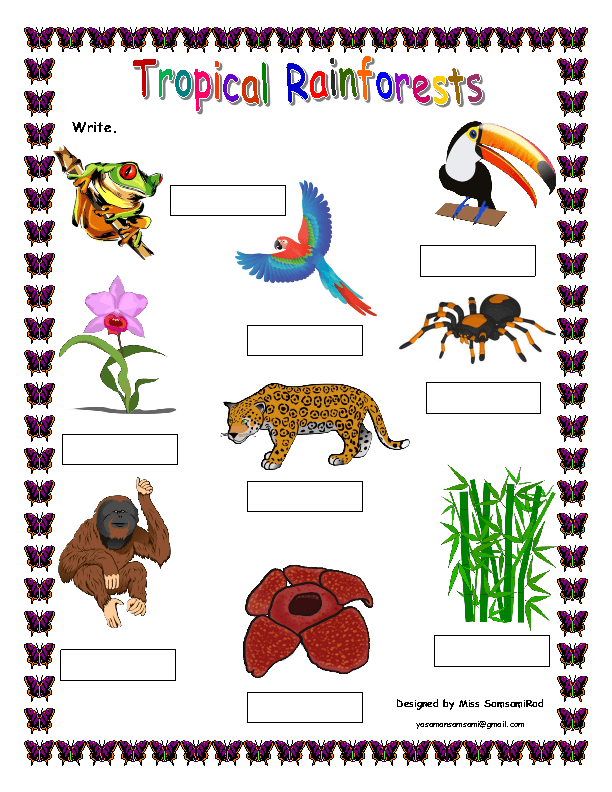 After teaching the vocabulary items related to tropical rainforests, you can have your students write the names of the animals or plants to check their spelling. Hope it works.